Welcome to the August 23, 2017 edition of ACM TechNews, providing timely information for IT professionals three times a week. China is developing what it claims will be the first-ever exascale supercomputer, which would be 10 times faster than the current fastest high-performance computer. University of Science and Technology of China professor An Hong says the machine, which could be ready as soon as 2019, will be designed to quickly process data collected from the world's oceans. An exascale supercomputer is thought to be the only system capable of combining all maritime-related datasets. 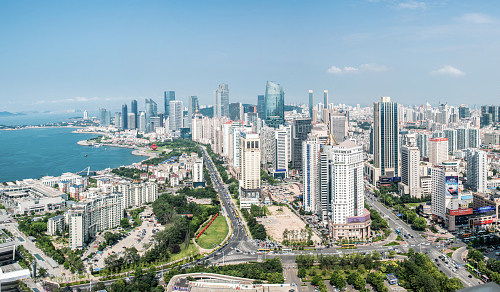 "It will help, for instance, the simulation of the oceans on our planet with unprecedented resolution," says Feng Liqiang with the Marine Science Data Center in China's Shandong province, where the exascale machine will be installed. "The higher the resolution, the more reliable the forecast on important issues such as El Nino and climate change." The U.S. also is developing an exascale supercomputer, but it is not expected to be operational until 2021. Researchers at the Moscow Institute of Physics and Technology (MIPT) in Russia and their collaborators say they have created a magnetoelectric random-access memory (MELRAM) cell. MIPT's Sergei Nikitov says the MELRAM cell can reduce bit reading and writing energy consumption by a factor of at least 10,000. MELRAM has a piezoelectric material and a layered, anisotropic structure with a high magnetoelasticity, which can be magnetized along two directions corresponding to the logical 0 and 1 in binary code. 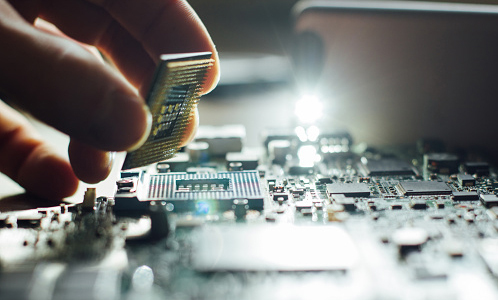 Unlike dynamic RAM (DRAM), MELRAM cells can maintain their state, and do not have to be continually rewritten or lose data when the power is cut off. Applying a voltage to the memory cell causes deformation in the piezoelectric layer, and magnetization assumes a particular orientation, retaining information, depending on the nature of the strain. The shifting orientation of the magnetic field causes increased voltage in the sample, and by detecting this voltage, the state of the memory cell can be determined. Researchers at New York University Abu Dhabi (NYUAD) in the United Arab Emirates say they have created an "unhackable" computer chip to boost the defenses of computer hardware. The researchers note the chip has a secret key that makes it virtually impossible to access and would only function for authorized users. "Without the secret key, the chips cannot be made functional," says NYUAD's Ozgur Sinanoglu. The researchers plan to create a Web-based platform to make all information about the chip available to the public, and they will ask other researchers to act as hackers and try to retrieve the secret key or reveal the exact functionality of the chip. In addition, the researchers say their hardware-based cybersecurity technology could be extended to provide protection against system-level threats such as WannaCry. The researchers will present their research this fall at the ACM Conference on Computer Communications and Security (CCS 2017) in Dallas. Engineers at Google say they have accelerated TCP/IP by up to 14 percent via a new algorithm that optimizes the speed at which traffic is delivered so it will not bottleneck available channels. Their bottleneck bandwidth and roundtrip (BBR) propagation time strategy quantifies the fastest way to transmit data across different routes and can manage traffic when routes become congested with greater efficiency. "[BBR] is not waiting for a problem to occur, like a loss," says Google engineer Van Jacobson. "It's modeling the pipe as if it has a length and diameter to determine how much data can fit in it." BBR constantly calculates throughput and roundtrip traffic time across multiple routes, knowing how long it will take data to cross the network if it sends it at a certain rate. The process enables the algorithm to direct traffic at a speed the network can handle, and it also interoperates with Google's quick UDP Internet connections. The U.S. Department of Homeland Security's National Infrastructure Advisory Council (NIAC) on Tuesday warned there is a shrinking window of opportunity for government and industry to fortify critical U.S. infrastructure against a massive "9/11-level cyberattack." NIAC recommends the public and private sectors establish siloed and highly secure communication networks to be used exclusively for critical command-and-control systems, and also make cyberthreat data-sharing between government and industry easier. The report says this includes faster declassification of cyberthreat information collected by intelligence agencies so it can be shared broadly throughout critical infrastructure sectors, and accelerating the process for granting security clearances to industry cyber leaders so they can review secret and top-secret cyberthreat information. NIAC also names people and agencies who should be responsible for executing its recommendations, noting the National Security Adviser should lead a conference of federal officials focused on meeting NIAC's goals and identifying obstacles to compliance within six months. Girls Who Code aims to teach programming skills to young girls by establishing a publishing imprint, and has arranged a deal with Penguin to release 13 books over the next two years. The nonprofit organization's first two books, issued this week, include an illustrated coding manual and a novel about friendship between girls in a coding club. "I wanted to create a series of books that girls could see themselves in, where you could sneak in the algorithms and you sneak in the coding," says Girls Who Code CEO Reshma Saujani. Girls Who Code joins similar efforts to counter the technology industry's underrepresentation of women, while also making inroads into an untapped market. Some experts think books could be an effective tool for recruiting programmers, especially girls, if the stories make coding seem appealing and creative. Some books are manuals geared for young children, while others are novels with coding concepts embedded within the narrative. Researchers at the University of Leicester in the U.K. have outlined the mathematical foundations for new algorithms that could enable artificial intelligence (AI) systems to collect error reports and correct them immediately without affecting existing skills, while accumulating corrections that could be used for future versions or updates. The researchers say their work could lead to technology that provides robots with the ability to correct errors instantaneously, learn from their mistakes, and spread new knowledge among themselves. The researchers combined the algorithms into a system, known as an AI corrector, which can improve the performance of legacy AIs in real time. "In this work, we demonstrate that in high dimensions and even for exponentially large samples, linear classifiers in their classical Fisher's form are powerful enough to separate errors from correct responses with high probability," says Leicester professor Alexander Gorban. Facebook's Sapienz is a dynamic analysis tool designed to find software defects that lead to crashes, using a significantly smaller number of input events--about 100 to 150--compared with other dynamic analyzers. For random-based analyzers, there can be more than 15,000 test inputs between crashes, and Sapienz also can unearth more crashing scenarios than other apps. Sapienz's bug-finding tools include a search-based evolutionary algorithm that develops test inputs based on how the app responds to previous inputs. The algorithm is steered by a complex fitness function, with multiple goals entwined by Pareto optimality. The fitness function is designed to test as many of the app's methods and statements as possible, identify as many crashes as possible, and minimize the duration of the test sequences required to trigger crashes. In addition, Facebook can operate Sapienz on its One World test platform, enabling engineers to simultaneously identify crashing bugs on many different Android devices. An analysis by University of Virginia professor Vicente Ordonez and colleagues of two large collections of labeled photos used to train image-recognition software found the software amplified embedded biases associated with women. Each set collected more than 100,000 images of description-annotated complex scenes. More men than women were depicted in the datasets, and objects illustrated with different genders exhibited what the researchers describe as "significant" gender bias. "This [phenomenon] could work to not only reinforce existing social biases but actually make them worse," says Mark Yatskar at the Allen Institute for Artificial Intelligence. The team developed a neutralization strategy in which the machine-learning software was forced to reflect its training data. However, the method demands that researchers seek bias in the first place and specify what they want to remedy. "Work like this is correcting the illusion that algorithms can be blindly applied to solve problems," says University of Utah professor Suresh Venkatasubramanian. 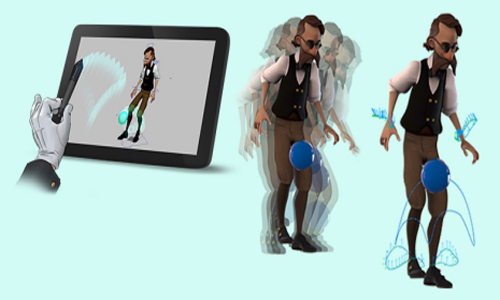 Researchers at ETH Zurich in Switzerland and at Disney Research have developed software that makes it easier to animate characters in the entertainment industry. Using conventional animation methods, characters' temporal and spatial transformation must be animated separately, which makes the process complicated. The ETH Zurich researchers counteract this problem by integrating MoCurves, a specially developed tool, into the animation process. Each MoCurve represents the movement of an animated item, and this movement can be decelerated or accelerated via the extension or contraction of the curve at specific points. The team already has successfully tested the software, as five inexperienced test subjects were able to create various motion sequences after completing a 15-minute introduction. In addition, the researchers received positive feedback from professional artists, who said it made creating animations significantly faster. "Our easy-to-use software gives anyone and everyone the ability to tell animated stories," says ETH Zurich researcher Loic Ciccone. Researchers at the University of California, Santa Cruz (UCSC) have developed Mappy, a software system that can autonomously generate maps of a video game's levels, piecing together long scrolling screens and determining how distinct rooms connect to one another. Mappy enables the researchers to create images that display the total composition of a room, even as it changes in response to the player's actions or other on-screen events. 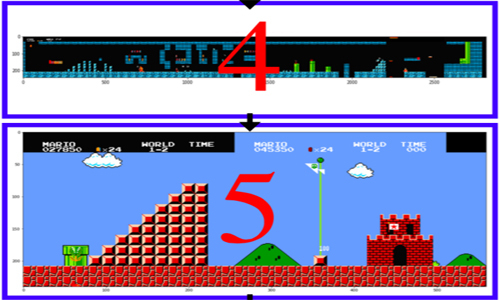 The researchers say Mappy could be useful to other scientists who are experimenting with procedurally generated game levels, providing them with a consistent dataset from which to train machine-learning algorithms that can produce playable worlds of their own. In addition, UCSC's Joseph Osborn says the system could empower a form of search engine that enables users to look up a specific section of a game and then be guided directly to that moment. Researchers at Washington State University (WSU) say they have developed an algorithm that can map brain neural networks with close to human-level accuracy. As part of a 2013 Massachusetts Institute of Technology competition, the WSU team devised a computational model that absorbs an image as input and then processes it in a multilayer network before reaching a decision. Their algorithm incorporates an artificial neural network that mimics humans' organic neural networks. The team still faces the formidable challenge of training computers to develop complete and precise neural maps. WSU professor Shuiwang Ji says the networks are still highly error-prone, and a gold standard for comparing human and computational outcomes currently is lacking. Nevertheless, Ji believes the work could accelerate the image-analysis process used for understanding brain circuitry, and improvements in computational techniques will definitely lead to reduced manual proofreading. 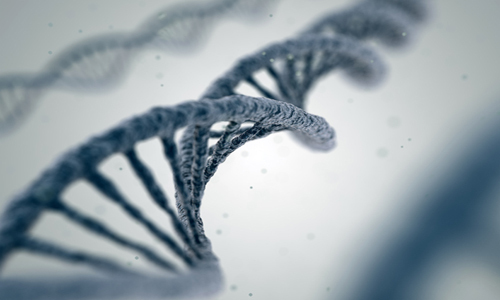 Researchers at Stanford University have developed "genome cloaking," a cryptographic technique for hiding irrelevant genetic data in individuals' genomes while extracting disease-related mutations. Using an algorithm on their own computer or smartphone, an individual whose genome is to be studied encrypts it into a linear series of values describing the presence or absence of the gene variants being investigated, without disclosing any other information about their genetic sequence. The encrypted information is uploaded into the cloud and the scientists employ a secure, multi-party computation to perform the analysis and reveal only those variants likely to be relevant to the investigation. An analysis can be conducted within seconds or minutes with a moderate amount of computing power. "We now have the tools in hand to make certain that genomic discrimination doesn't happen," says Stanford professor Gill Bejerano. The project's goal is to find the best approach for sharing genetic information with researchers without compromising patient privacy.